World Whisky Day has launched 50 Shorts – 50 films celebrating the humour, culture and wonderful weirdness of whisky. The short videos (less than two minutes each) cover a vast gamut of whisk(e)y history, heritage and hi-jinks from Scotland and across the world. Created by the World Whisky Day team in collaboration with film-makers Daniel Gray and Alan McCredie, the videos will be released weekly in the run-up to World Whisky Day on Saturday 20 May 2017 – and well beyond. We guarantee a total absence of po-faced middle-aged men sombrely nosing the amber and compiling fastidious scores out of 100. We also promise a refreshing dearth of anorak gibberish and PR clichés. 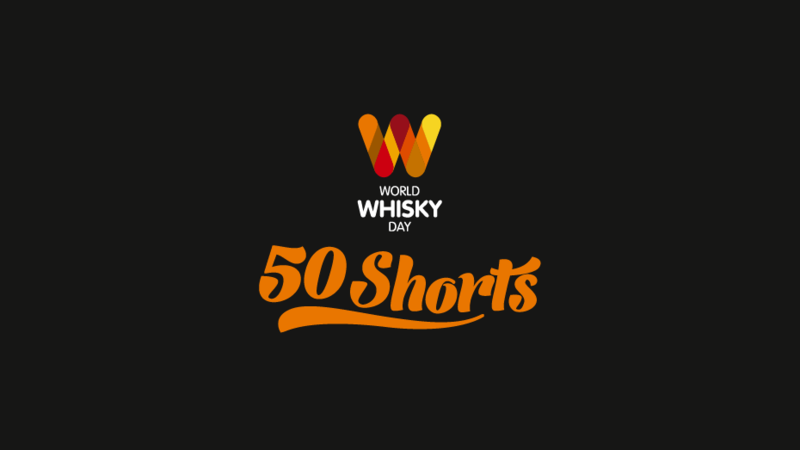 Instead, 50 Shorts celebrates the reality that whisky is a fascinating drink that is here to be explored and enjoyed by anyone who wants to. Whisky drinking is a fun diversion in a busy, sometimes troubled world and we think the films will bring a smile to adventurous, open-minded whisky enthusiasts – and anyone tempted to try a dram for the first time. You’ll also learn a thing or two, that’s for sure. The first release of films includes a surreal woodland tasting, the tarring and feathering of a whisky hipster and an expert’s guide to matching whisky with crisps – and we have plenty more up our whisky-scented sleeves. Slàinte!